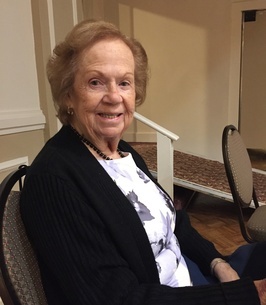 Joan M. Campbell, of Jensen Beach, Florida formerly of Brewster, NY died Monday, November 19, 2018 at Columbia Presbyterian Hospital, New York, NY with her children at her bedside. She was 78 years old. Joan was born May 11, 1940 in New York, NY; the daughter of Mary (Hennessey) and Robert Fallon. She attended Aquinas High School and graduated from Thorpe Secretarial School. Joan was predeceased by her husband Bernard (Bob) Campbell. They were married on May 29, 1960 in Long Beach, New York. Together, they had celebrated 57 years of marriage. Through the years Joan was a devoted wife, attentive mother, and affectionate grandmother. She thoroughly enjoyed being surrounded by her family, and celebrating the achievements of her children and grandchildren. Mass of Christian Burial will be celebrated, Monday, November 26, 2018 at 11:00 a.m. at St. Lawrence O'Toole, Brewster, New York. Burial to follow at Gate of Heaven, Valhalla, New York. Family will receive friends Sunday, November 25, 2018 at Beecher Funeral Home, Putnam Avenue, Brewster, New York from 2 p.m. to 6 p.m.